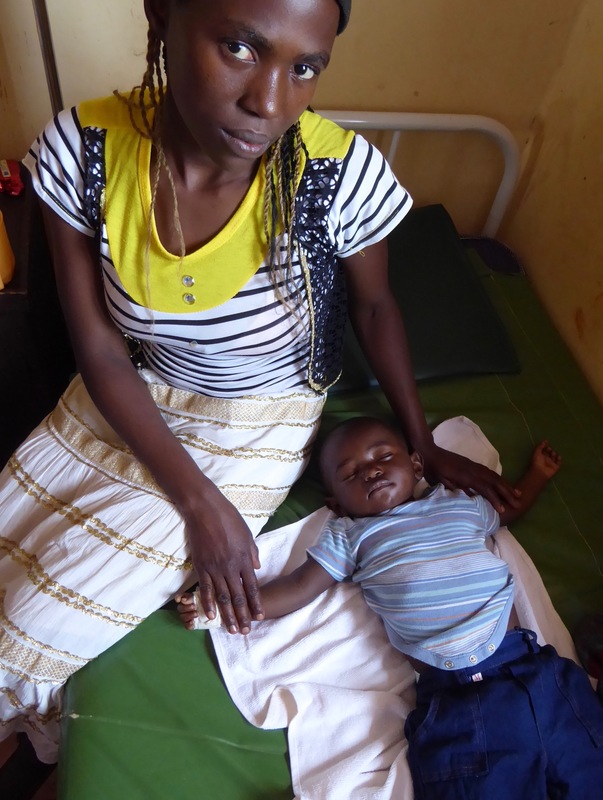 Daniel is 10 months old and had been ill with a fever and vomiting for three days before his mum Susan brought him to the clinic. She had been trying to treat him with malaria medication at home but he wasn’t improving and so they came to Buburi. This was the third time that he had malaria and although Susan had been given a mosquito net on a previous visit to the clinic, this was now torn and was probably the reason that Daniel was so ill.
Susan is 19 years old and Daniel is her first child. She had her antenatal care at the clinic and had intended to come to Buburi to deliver her baby. But she went into labour unexpectedly, whilst none of her family were at home, and so she gave birth at home by herself! Now with malaria again, Daniel was very ill and he had to stay at the clinic for a few days but was successfully treated and was allowed to go home.